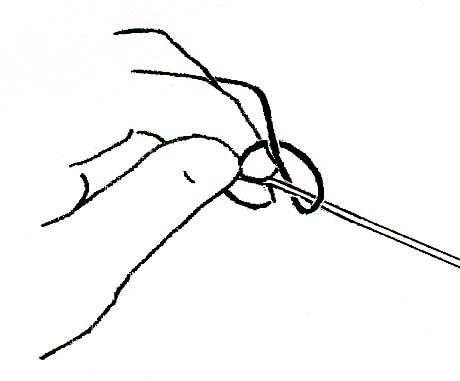 The dark thread circles the left hand. Light thread to the shuttle. Lift the light thread out of the way. Shuttle goes under the dark thread until the thread drops over the back end of the shuttle. Back the shuttle out. 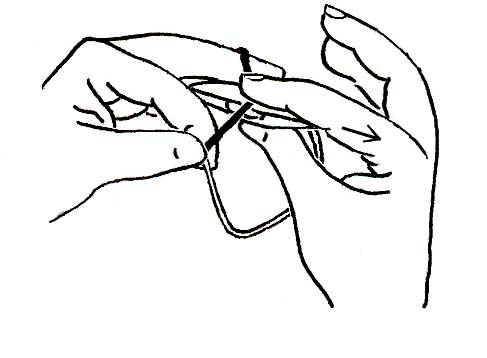 Light thread will slide off the right fingers as you continue to pull the shuttle to the right. 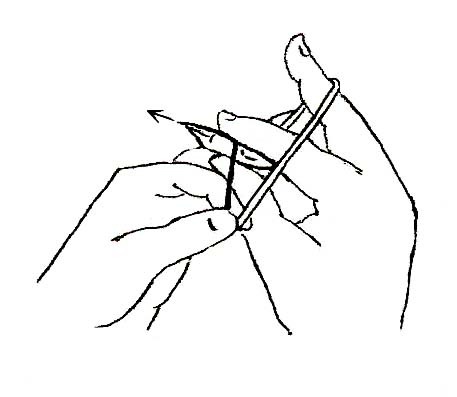 Curl the middle finger of the left hand into the palm. 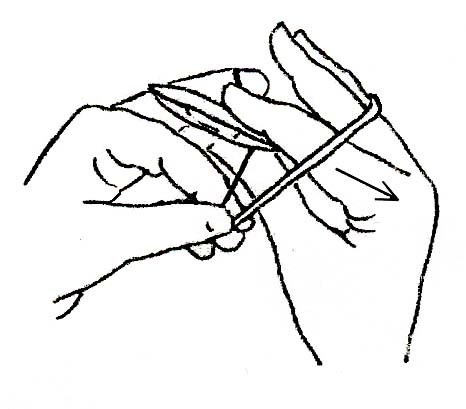 Pull the shuttle sharply to the right until the shuttle thread is taut. Let the shuttle thread hang down. 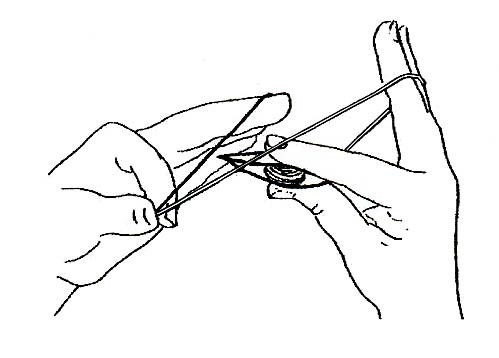 Go over the dark thread letting the thumb slide between the thumb and the shuttle. When the thread clears the end of the shuttle, back the shuttle out. 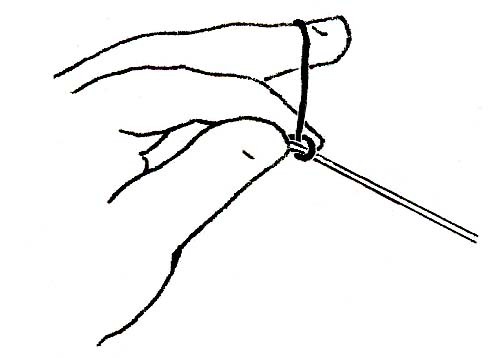 The thread will slide between the finger and the shuttle. 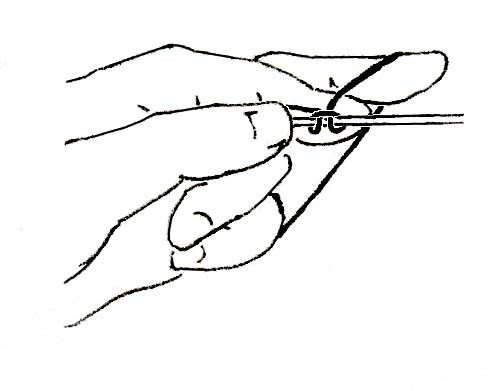 Hold the tension on the shuttle thread while you lift the middle finger of the left hand and pull the stitch into place. Click on image below to enlarge picture. 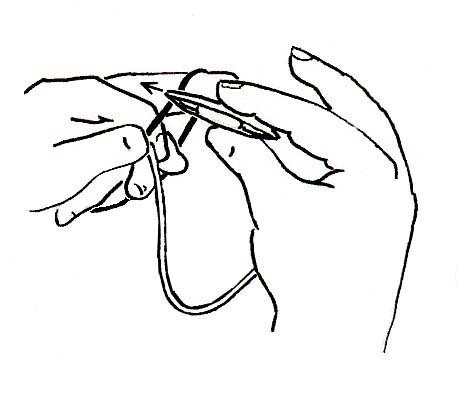 Use variegated thread. Coats Aunt Lydia's size 10 Red, White, Blue works well.